Estuaries are locations where fresh water from rivers mixes with salt water from the ocean. These transitional areas that straddle the land and sea contain habitats needed by fish, shellfish, wildlife—and people. Although the word isn’t in their names, Boston Harbor, the lower Mystic River, Wellfleet Harbor and the lower Taunton River and the lower Merrimack River are all estuaries. Often called nurseries of the sea, estuaries provide vital nesting and feeding habitats for many aquatic plants and animals. Most fish and shellfish eaten in the United States, including salmon, striped bass, herring, and oysters, spend at least part of their life cycles in estuaries. For oysters the estuary is a permanent home; others, like horseshoe crabs, use them to complete only part of their life cycle. While oysters on the plate are singlets lying flat in a reef in their natural state they grow up in branched structures as younger oyster spat settle on existing oysters and grow up to capture water flow to filter. These nooks and crannies supply habitat for hundreds of other species. One of the great things about working with the oysters and children is that they are always saying "Wow" and "Cool" as we discover the creature in the reef. A study at the University of Maryland showed that the ares with reef had three times the fish of areas without. Flat barren sea bottom typical of Boston Harbor has little shelter for small fish. Sadly most of the State's Harbor's have been swept of oyster reefs and we now have flat barren estuary bottoms that lack the shelter provided by those reefs. This creates an opportunity to improve our coastal waters by restoring oysters. NOAA recently posted a piece on the importance of estuaries economically and they are a very valuable resource. Some important points are listed below. Estuaries provide habitat for more than 75 percent of the U.S. commercial fish catch, and an even greater percentage of the recreational fish catch. The total fish catch in estuaries contributes $4.3 billion a year to the U.S. economy. Coastal recreation and tourism generate $8-$12 billion per year to the U.S. economy. 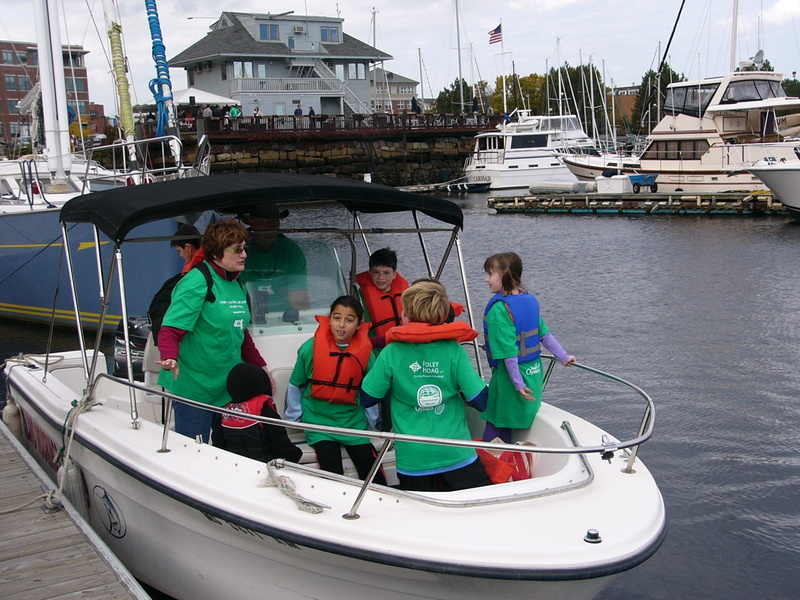 180 million Americans visit estuary and coastal waters each year for recreation and tourism. We will be at the Boston Seafood Festival on Saturday and at Plymouth's Mayflower Brewery on Sunday. Details on Mayflower are further down in this blog.